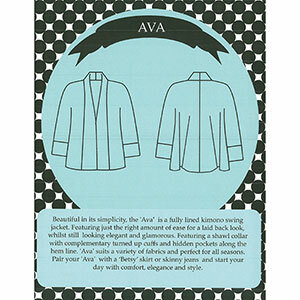 Beautiful in its simplicity, the 'Ava' is a fully lined kimono swing jacket. Featuring just the right amount of ease for a laid back look whilst still looking elegant and glamorous. Featuring a shawl collar with complementary turned up cuffs and hidden pockets along the hem line. 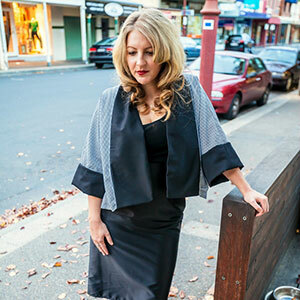 Designed with a flattering flared shape in the back of the jacket, 'Ava' suits a variety of fabrics and is perfect for all seasons. 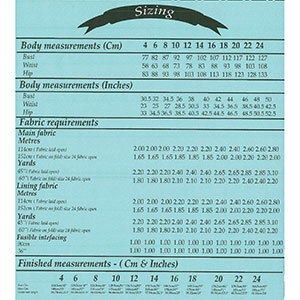 Suggested fabrics are light to medium weight wovens such as crepe de chine, rayon challis, peach skin, flannel, wool or denim. For a different look and feel try a stable knit such as ponte de roma or cotton lycra.